Boko Haram sacked two military bases in northeast Nigeria overnight as the jihadist fighters battle for control of a strategic town on Lake Chad, military sources said on Thursday. 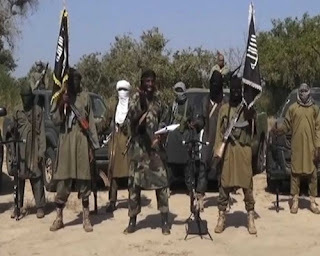 Jihadists from the ISIS-supported Islamic State West Africa Province (ISWAP) overran a naval base and a multinational joint task force (MNJTF) post in the fishing town of Baga after a fierce battle, the sources told AFP. "The troops were overpowered and forced to withdraw," the source, adding that "the terrorists carted away guntrucks, ammunition and multiple rocket launchers from the base." Nigerian army spokesman Sani Usman confirmed the attack in a statement which said the assault began at about 19:00 local time (1800 GMT). "The troops along with their Nigerian Navy counterparts put up a very determined fight" all night, he said, adding that one navy personnel was killed. Boko Haram's nine-year insurgency has killed 27 000 people and displaced two million others, sparking a dire humanitarian crisis in the region. The fighting has also spilled into Nigeria's northern neighbours Chad, Niger and Cameroon.